The Supreme Court today said it will pass order on November 28 on a plea challenging the appointment of Gujarat cadre IPS officer Rakesh Asthana as a special director of the CBI. NEW DELHI: The Supreme Court today said it will pronounce verdict on November 28 on a plea challenging the appointment of Gujarat cadre IPS officer Rakesh Asthana as a special director of the CBI. The Centre opposed the plea saying Asthana had an outstanding career and had supervised over 40 high profile cases like coal scam, Kingfisher Airlines, AugustaWestland scam, blackmoney and money laundering cases. Advocate Prashant Bhushan, appearing for the NGO Common Cause, said Asthana's appointment was illegal as his name had surfaced in a diary recovered during a raid conducted by the Income Tax department at the offices and other premises of company Sterling Biotech Ltd.
A bench of Justices R K Agrawal and A M Sapre reserved its verdict after hearing the arguments of the petitioner NGO and Attorney General K K Vengugopal, who opposed the plea. Bhushan said the diary showed the name of Asthana as having received illegal gratification from a company and the CBI had recently registered an FIR in a money laundering case against the accused firm and some public servants. The Attorney General opposed the plea and said the CBI had not named him in the FIR and Asthana has had an outstanding career. Asthana, who was earlier an additional director in CBI, was looking after eleven zones, he said. "The committee considered the note and the matter was also considered with the Director CBI. Keeping in view that there is no finding that person mentioned therein is the same person under consideration for appointment and there is nothing about the veracity of the contents of the document...," Venugopal read out from the minutes of the meeting of select committee. He said the committee had considered the fact that the CBI itself has earlier proposed Asthana's name for the post of special director and hence decided to recommend the name of the officer for the post. "The committee has kept in view the fact that the vigilance commission does not take cognisance of complaints received just on the verge of appointment or promotions unless there is proven misconducts," Venugopal said. Bhushan said the minutes of the note were not given to him under RTI and alleged that under Asthana, the CBI will not be able to work freely and without favour as the officer's daughter wedding was held in a sprawling farmhouse of the owner of the accused company. Venugopal said several secret documents have already been filed alongwith the PIL, including the diary recovered during the IT raid. "I hope he did not got the diary under RTI," he said. Bhushan said he had recently come to know that Asthana's son also worked for the accused firm and hence under him, the CBI will not be able to investigate the company, which has allegedly committed irregularities worth Rs 5000 crore. The bench, after hearing the arguments of both the sides, said it will pass the order. Demanding quashing of Asthana's appointment, the petitioner has sought a direction to the Centre to transfer him out of the agency during the pendency of investigation. Claiming that the decision to appoint Asthana was "illegal" and "arbitrary", the petitioner has claimed that the government and the selection committee had overruled the opinion of the CBI Director while appointing Asthana "in violation of the law". 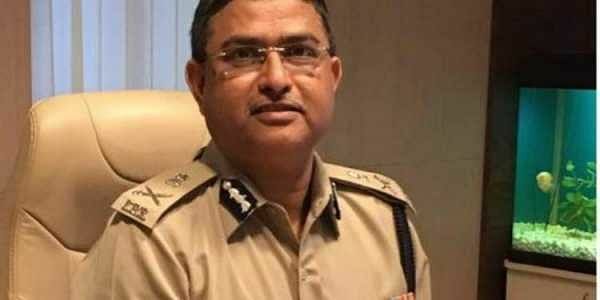 While seeking Asthana's ouster, the plea noted the special director was the second in command in the CBI after the director and supervised almost all important cases being handled by the agency.